Image is pleased to present a brand-new podcast, Mirror/Image, featuring Image writers and artists reflecting on shared passions with creators from film, music, prose, podcast, and beyond. Image is pleased to present our brand-new podcast, Mirror/Image, featuring Image writers and artists reflecting on shared passions with creators from film, music, prose, podcast, and beyond. These conversations dive deep into the creative process, with artistic trailblazers offering a multimedia experience, showing where panels, chords, and celluloid intersect. In this debut episode, Deadly Class co-creator and prolific comic book writer Rick Remender chats with punk godfather Henry Rollins. The Deadly Class television series airs on SYFY on January 16th and stars Rollins as poisons professor Jürgen Denke, with Remender serving as a showrunner and Deadly Class co-creator Wes Craig serving as executive producer. 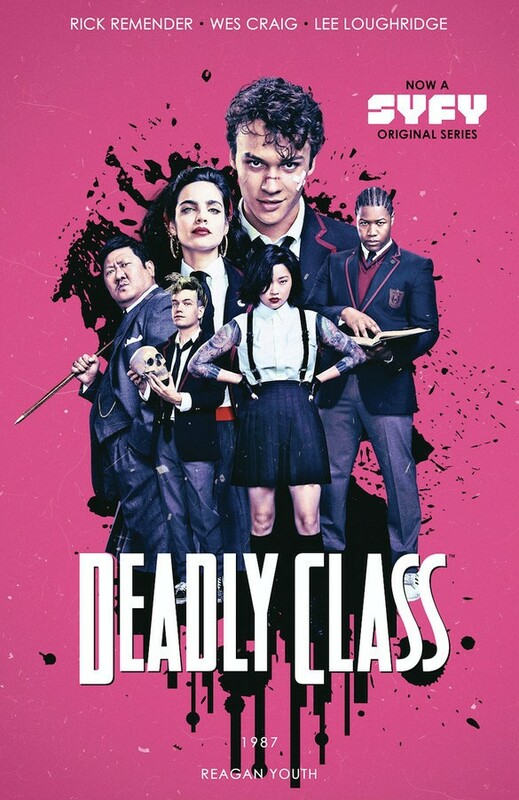 Deadly Class revolves around a school that trains teenagers to be calculated assassins, with new pupil Marcus Arguello struggling with the ethics of murder and, even more lethal, vitriolic love triangles. The following conversation dives deep into Rollins' punk roots and the spoken-word poetry that inspired Remender's barbed ouvre, as well as the politics behind Deadly Class. SYFY's Deadly Class premieres on January 16th, 2019 @ 10/9 Central. The newest addition to the comic series, Deadly Class, Book Two: The Funeral Party hardcover, is available now.